I used to take time out from my day job once a year, suit off, and drive a truck delivering telephone books for a week. 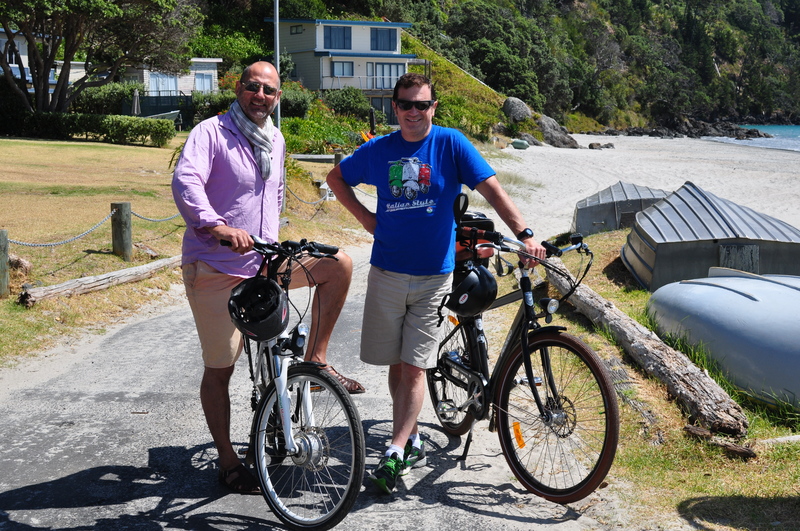 It was refreshing, great exercise, and I got to know parts of the city, especially Parnell, very well. It was slightly jolting at first to realise that your attire (and the job that went with it), had a big impact on how people treated you. “Put them over there”. Fine, and good morning to you too. Five or six years ago colleagues would check in as to whether to wear a tie. Casual Friday was once a month. It soon moved to once a week and then it was “dress for the day”. Today you’ll see male and female colleagues in smart jeans, shirt in, shirt out, smart suits, open shirts, hoodies, and the occasional tie. So what is the look of leadership? Is there a look of leadership? What should a leader look like? Are there really clothing expectations of a professional leadership position? There’s some places you don’t have much choice for formal clothes – a court lawyer, or member of parliament – but almost everything else there’s a lot of flexibility. If you take it. I do. Some days a suit, others jeans, the occasional hoodie. I’m not sure it makes much difference. Maybe I should try being a delivery person for a day and see if the world has changed! I see it’s New Zealand Fashion Week later this month. Getting up at 5am has had its rewards – exhilarating yacht racing, a capsize, a mistake when winning and then winning by only 1 second – but ultimately success today. Team New Zealand won the Louis Vuitton Cup today and are official challengers for the America’s Cup again. Team New Zealand has been there before and it hasn’t always gone well but I reckon we should enjoy the success now. A few minutes ago the Otago Highlanders beat off the British and Irish Lions 23-22. What a great game. And there’s more to come – ABs vs Samoa and Maori All Blacks vs Lions. Not just a day, but a great winter of sport! Travelling on two wheels up the bus lane on Dominion Road most mornings gives me a sense of the futility of single car commuting. I spent years doing it, love driving and retreat to the car when I’m not feeling 100% or I feel the weather is a risk factor. This morning there was quite a group of scooters and motorcycles together for most of the distance. A feeling of camaraderie and freedom. It’s a lot of fun too. The e-bike is just as good, if not better, and not much slower. The fantastic Grafton Gully to Tamaki Drive cycleway is mine to luxuriate on for half the journey. The other day I counted how many cars I passed on Dominion Road, many stationary. 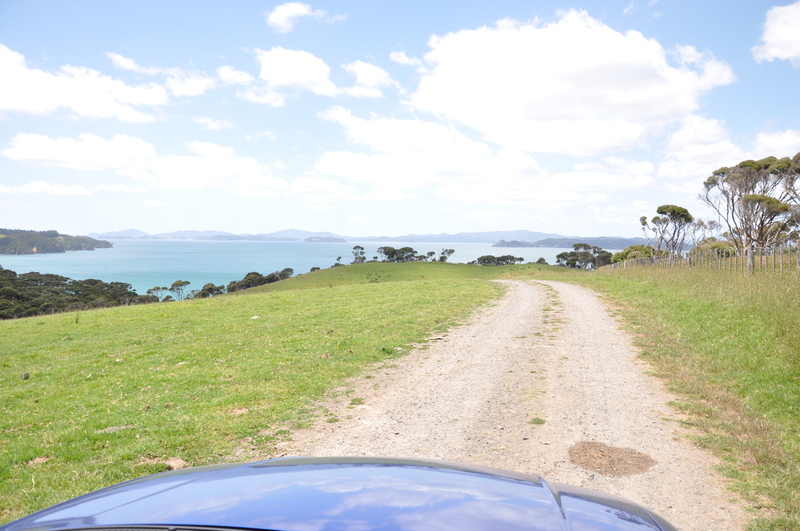 Not exactly Dominion Road, but Waiheke isn’t far! I’m deliberately grouping bike and motorcycles together, there are similar advantages. It’ll take quite a lot more commitment by leadership to make it a preferred option for the solo-car commuter. From the car it can appear mildly annoying, not like real road users. From the two wheels it’s freedom, fun and most of all fast! It might not be an alternative across the bridge (yet), but for many people I see, it would be a great option. Forget lectures about the environment, congestion or your wallet. Just for yourself. It’s fun. Now that’s got to be a reason to do something! Have you overlooked fun in your leadership today? Next blog about being imperfect. You don’t need to go away to enjoy an exotic summer’s day. 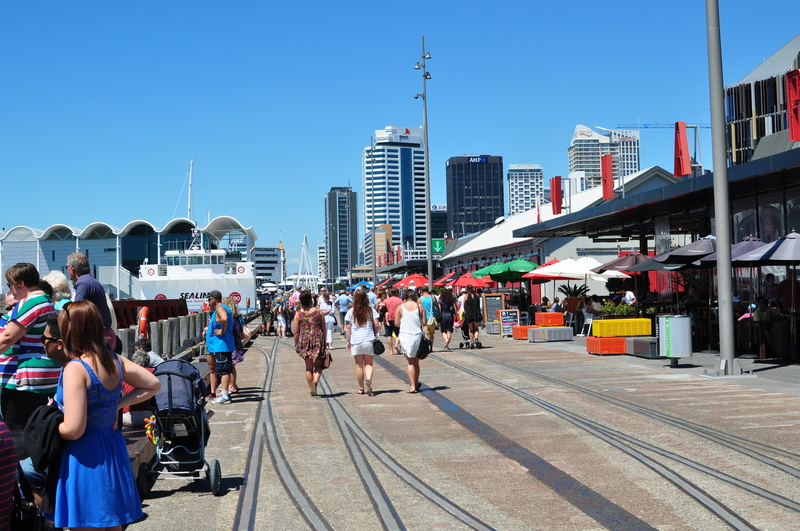 There’s so many cruise ship tourists downtown at the moment, stepping out for lunch it can almost feel like you’re on holiday. I got chatting to a couple from England on the escalator in Westfield Downtown the other day. They were staying in Mt Eden, visiting their daughter and family. “This place has changed a lot since we were last here seven years ago” he said, “there’s well a lot more, feels like a European city now and there’s you know…“, more people I offered “yes a lot more people, it’s really gone ahead“. We parted after this brief exchange. We’re all ambassadors for our country and city. I didn’t really have much to add, they were clearly loving their time in Auckland on a hot summer’s day and wanted to share their enthusiasm. It’s easy to ignore the pleasure of what we have every day. Outsiders can see it quite differently. On a summer’s day in the city. Apart from the colour they looked quite similar. 303 was a creamy white while 302 chestnut brown. They had two friends, but we couldn’t see their numbers. At our first viewing up the drive from our holiday house 303 seemed quite taken aback and aggressive. it didn’t look like they had too much in the way of human interaction. They were good looking cows (however you measure looks on a cow I’m not sure!) and were pretty happy in their field of grass, flowers and weeds. Next time down the driveway, same thing, 303 was on full alert while his mates showed some interest then went back to their grazing. Each time was much the same, so we called 303 the “boss”. Once we stayed a while once. Curious. Which is what 303 was. A little aggressive at first, probably unsure, but he seemed just plain curious about us. Curiosity. Something you want in your leader. Forty-nine year old Steve Carell apparently noticed how hard out the Pizza restaurant he was at, that he donned an apron and spent an hour serving, answering phone calls and mucking it up in the kitchen. In Jeff Hadens 9 Beliefs of Remarkably Successful People number 6 is Volunteers always win (yes take these quick lists with a grain of salt but if it works you know!). I saw the movie Cafe de flore today. It’s too early to process what it’s all about but it’s a bit about exorcising some connections that don’t work where they are and embracing new ones or old ones in a new context. I’ve been too flat for blogging recently, writing an article for a magazine in the weekend was really hard, but the movie, some great conversation over the last few days (even thanked someone for an involuntary coaching session it lifted me so much) I feel back, as Jasbindar Singh would say, in the groove. And listening to the song Cafe de flore. Very groovy tonight. Simple pieces of service to others can lift them and you immeasurably. I’m thinking of a Conversation at a Cafe with like-minded people on leadership stuff. I’ll mention this in the next day or three and get it going. Service to each other to lift our spirits and our business too. Sound oblique? Could be, but just roll with it. It’ll be fun. Especially if you’re 49 or think you might run into someone interesting who is. Steven Spielberg and Peter Jackson have done a fine job with The Adventures of Tintin. Every Tintinophile including me will recognise the mixing and mingling of original stories to create this first of three movies. Some missing bits and some bits merged. The important sentiment and sense that has been Tintin for me for almost 5 decades is brought to life with fine humour and non-stop action. I’m pretty sure Herge would have been proud. It’s day four of 2012 and there are rumblings of people back to work – you can feel it – actually you can see it in the emails being replied to after a respectable pause over the break. What is a holiday? 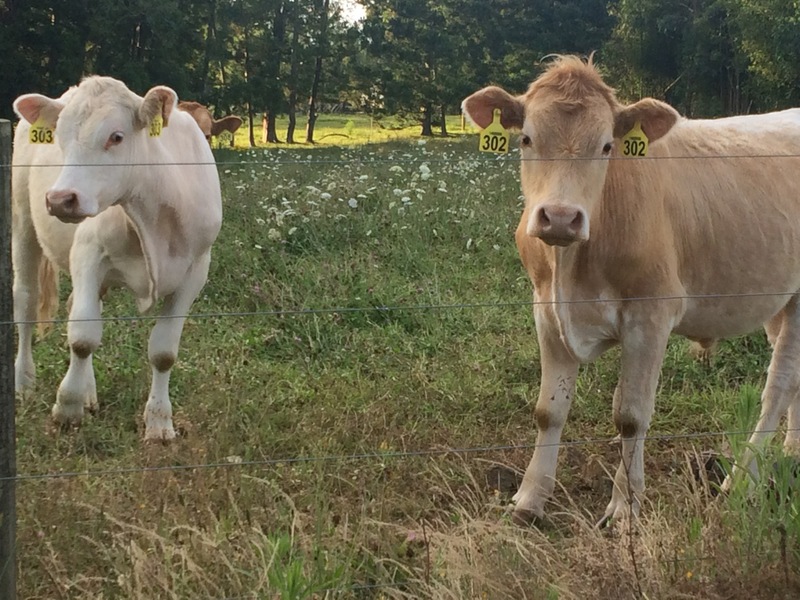 Driving in the country today a herd of dairy cows walking in a line sharply brought back a memory of a boy-time holiday on dairy-farmer Uncle George’s farm. That was a real holiday! The surf, a barbeque, reading a new and interesting book on a new and as yet unexplored topic all mean holidays for me too. I struggle to get that sense to start with and I don’t mind admitting it hasn’t quite arrived yet, but I feel it might tomorrow. Really! I’m back to work – or should I say off to my new work – on Monday week so that holiday sense better get here pretty bloody soon, or else. Christmas has been and gone – I enjoy the anticipation and the 26th even more! I visited my parents in Christchurch, somehow missing the worst of the recent quakes and connected with family as best as I could on a brief visit. I’ve done some work and although there will be a little more to do, the sense of the holiday is upon me. That invisible feeling of being on holiday that means reflection, true perspective on what matters and a genuine recharge of the energy. That’s right a run tomorrow! Second of the year. Like making the Tintin movie, you just know when you’ve got it. I hope you’ve had or are having it. Otherwise, blistering barnacles, go and see Tintin with Captain Haddock. That’s a holiday feeling definitely here, thinking about that!